I’m writing this just moments after the Chicago Bulls lost their 4th consecutive game in the Eastern Conference Finals, to send the Heat on to the championship series. I’ve never been a huge fan of the NBA, but it’s always rough seeing your hometown team go down in a fashion like that. I figured a fairly depressing album would fit well tonight. What could possibly be better than the newest release by The Antlers? Remember those guys? They came out of nowhere with Hospice a couple of years ago—that gloomy, spooky concept album about a hospice worker falling in love with his terminally ill patient. I figured this group’s follow-up would be just as somber. I quickly learned that I was wrong. First off, there’s no discernable concept behind Burst Apart. With no plot, there are no characters to attach to, and no scenes to play out. For that reason, and because Hospice is a masterpiece of an album, Burst Apart couldn’t ever hope to reach the heart wrenching highs that Hospice does. I think The Antlers made the right move here. They realized that they created something special with Hospice, and following that up with another story record could only disappoint. Believe me, it’s not a bad thing that this record isn’t as depressing. I don’t have to reserve it for lonely, late nights, when sadness, memories, and teen angst are working harder on me than usual. Burst Apart, unlike Hospice, does have a future in my regular rotation. Lot’s of what I love about The Antlers can still be seen in Burst Apart. Peter Silberman still delivers his music with a passion not often found in music today. The instrumentation remains stark, spooky and moving. 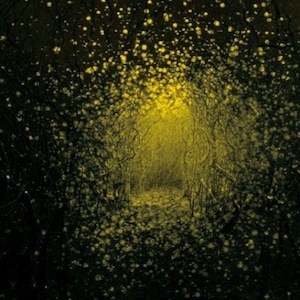 With this newest release, The Antlers prove that they are by no means a one-album-wonder. They have staying power in today’s music scene.